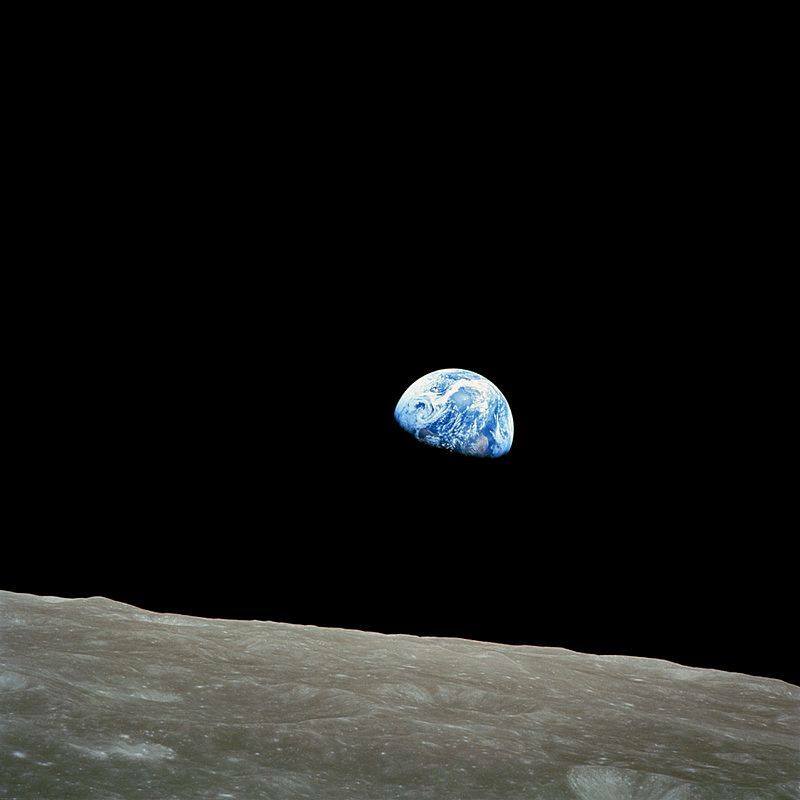 This very famous photo called “Earthrise” was snapped 48 years ago today, on December 24, 1968. This is the very first picture ever taken of the “Full Earth,” so that the entire globe can fit inside a single image frame. It would be impossible to explain to a young person today, nearly a half century later, how this image rocked the world of 1968. For the first time ever, the Earth was seen as being a planet in space, a small blue marble all alone in the vast blackness of space. This scene amazed people like nothing other, fascinating and actually frightening to many.